DaVinci child theme is a single product promo page designed to deliver an outstanding customer experience and drive sales by highlighting a specific item. With the help of this promo page option, you can create landing pages for your goods. To start using DaVinci child theme, make sure the parent DaVinci theme is installed in your WP admin panel. To download the child theme, go to Themes and click Download theme. 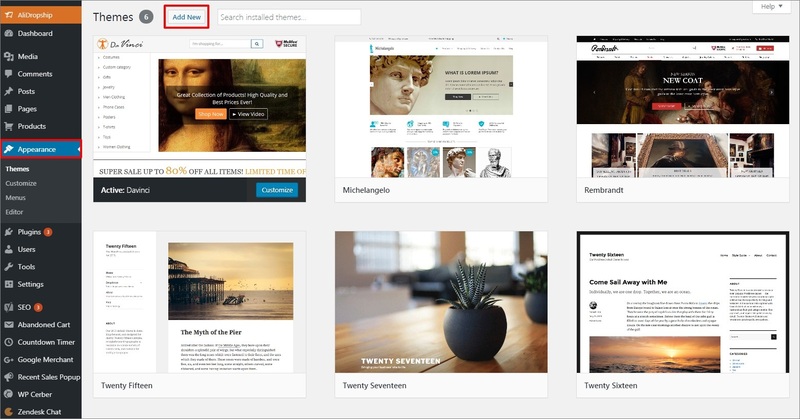 Once the theme file is downloaded, go to your WP Dashboard => Appearance => Add New. Upload the zip file and activate the chid theme. To get started, click Edit. Scroll down to Promo page settings. Check ‘Enable’ in customization settings of the child theme. The chosen product will be available at two links: the usual one and the one with ‘/sale’ at the end. In other words, your website visitors will see the ‘ordinary’ product page if they browse your store. In case they visit the ‘/sale’ link you advertise, they will be redirected to the single promo product page. If necessary, enable Countdown Timer and adjust your time settings. Once your timer expires, it will be restarted automatically. Add manually number of your IG and FB followers. The child theme uses the links to social media accounts you have added in Customization => Social Media. If there are no numbers added, social icons will not show up on the promo page. Add titles to your product. Since it is shown on the page twice, you should add two product titles. To customize text, use the visual editor. Make payment icons appear below the Add to cart buttons by checking the box ‘Enable’. 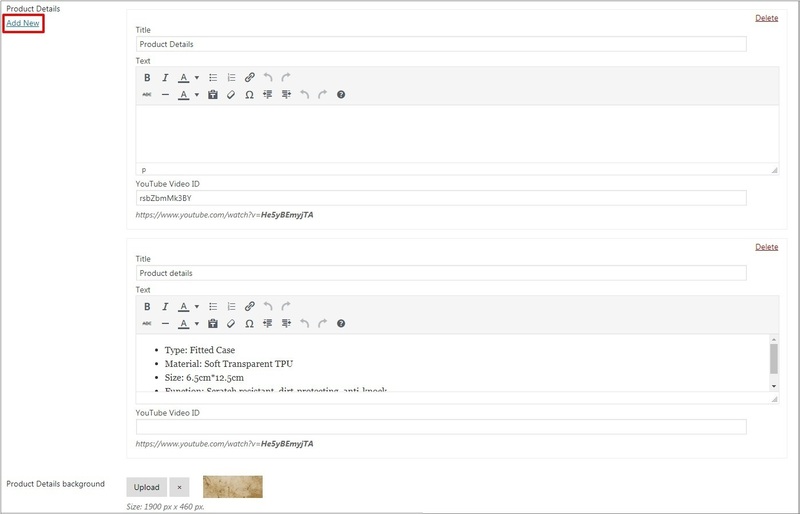 Add detailed product information and video links to the Product Details section. Please keep in mind that text will not show up in case you add a YouTube video link. Upload a background image. Enable or disable Features. Color of these icons is the same as the color of feature icons on your Homepage, it can be changed in WP Dashboard => Customization => Home => Features. Enable or disable trust reviews (Trustpilot, Sitejabber, Facebook). Please note that the provided figures are not editable. You can add an unlimited number of customer reviews – use the Add New link. To make feedback on the product true to life, you can add customers’ photos. 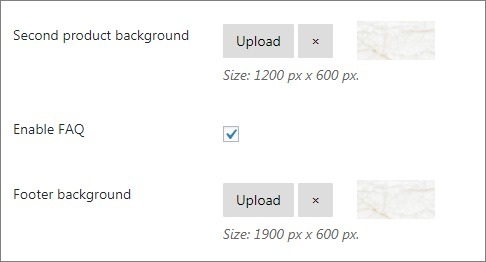 Upload a second product background image and background image for your footer. Check the Enable FAQ checkbox to show them on the promo page. To provide your clients with product specifications, add a product size chart: upload an image via the Add Media button or add a table. From the dropdown menu choose a product attribute your size chart will be shown next to. To make some custom changes to the promo page, add your CSS code.